Simple tool for getting the current song that you're playing and creating a text file with the song name. MusicBuddy can be in the background while you're streaming and playing games without losing performance! MusicBuddy supports even web players, such as SoundCloud and YouTube! More website being supported soon! 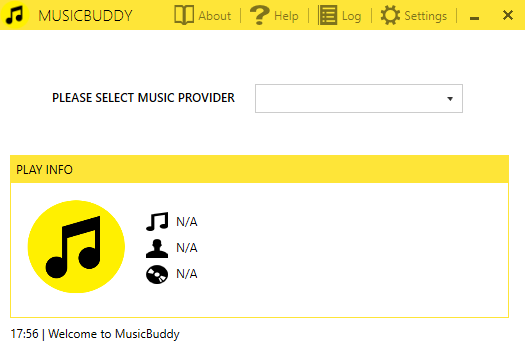 MusicBuddy supports the most popular desktop music players, such as Spotify, iTunes and even more!